Health officials here continue to conduct campaign to reduce the maternal and neonatal deaths in the province. Maternal and Child Health Coordinator Rosanna Manongas of the Provincial Health Office revealed that they continue to strengthen their efforts in the conduct of information, education and advocacy to reduce and ultimately end maternal mortality as well as neonatal deaths. 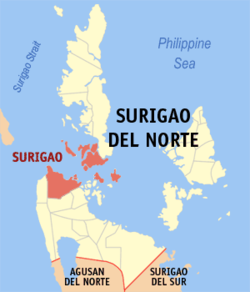 In a forum recently conducted in Surigao City, Manongas said that so far, there is a decrease in the number of maternal deaths in the entire province since 2009. Manongas disclosed that from 16 maternal mortality deaths in 2009, it reduced to 14 in 2010. She further revealed that among the leading causes of maternal death are eclampsia and post-partum hemorrhage.